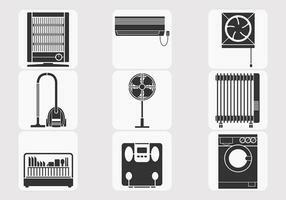 Home House Electronic Appliances Tools and Equipments Stick Figure Pictogram Icon Cliparts. A set of human pictogram using different type of home objects. They are man using vacuum cleaner, standing iron, clothes iron, cordless phone, table fan, blender, toaster, kettle, and rice cooker. Home House Advanced Electronic Appliances Stick Figure Pictogram Icon Cliparts. Industrial Cleaning Services Risky Cleaner Job Working Stick Figure Pictogram Icon. VIP Idol Celebrity Star Pictogram. Hay Fever Prevention Allergy Tips Stick Figure Pictogram Icons. Lightning Thunder Indoor Safety Tips Stick Figure Pictogram Icons. Home House Entertainment Electronic Appliances Stick Figure Pictogram Icon Cliparts. Cleaner Man with Cleaning Tools and Equipments Stick Figure Pictogram Icons. Life Support Equipments Stick Figure Pictogram Icons. Kitchen Appliances Electronic Electrical Equipment Tool. Baby Child Newborn Toddler Kid Equipment Stick Figure Pictogram Icon. Barber Hair Salon Hairdresser Icon Symbol Sign Pictogram. Car Repair Services Workshop Mechanic Stick Figure Pictogram Icons. Paying with Phone NFC Technology Stick Figure Pictogram Icons. Amusement Theme Park Playing Stick Figure Pictogram Icon. Swiftlet Farming Bird Nest Stick Figure Pictogram Icons. Physio Physiotherapy and Rehabilitation Treatment Stick Figure Pictogram Icons. Using Internet with Phone at Different Places. Home House Built-in Furniture Stick Figure Pictogram Icon Cliparts. Home House Lighting Lamp Designs Stick Figure Pictogram Icon Cliparts. 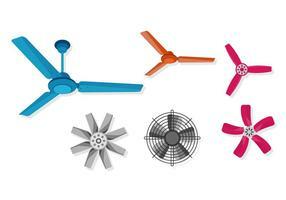 Home House Accessories and Decorations Stick Figure Pictogram Icon Cliparts. Children Home Garden Park Playground Backyard Leisure Recreation Activity Stick Figure Pictogram Icon. Shopping Online Process Step by Step at Home Stick Figure Pictogram Icons. Business Video Conferencing and Man Using Satellite Phone Stick Figure Pictogram Icons. Community Effort Humanity Volunteer Group Cleaning Outdoor Park Indoor House Stick Figure Pictogram Icon.